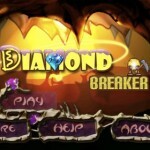 App Review: Diamond Breaker by mAPPn, Inc. Trivial Pursuit fans, your favorite trivia game is now available for your iPhone and iPod Touch. Electronic Arts has recently released Trivial Pursuit in the iTunes App Store. Now you can test your knowledge by yourself or with your friends wherever you are. UPDATE: I recently discovered that Who Has The Biggest Brain? by Playfish is no longer available in the iTunes App Store. Their website does not give any details on why.